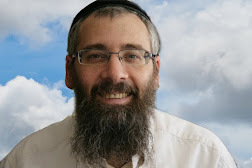 Dwelling Place Below - Torah and Kindness: Meet Rabbi Fishel Jacobs: Halachic Authority, Karate Master, Prison Chaplain, Author and More! Meet Rabbi Fishel Jacobs: Halachic Authority, Karate Master, Prison Chaplain, Author and More! Reb Eliyahu and Shoshanah have received much support from Rabbi Fishel Jacobs in the past. 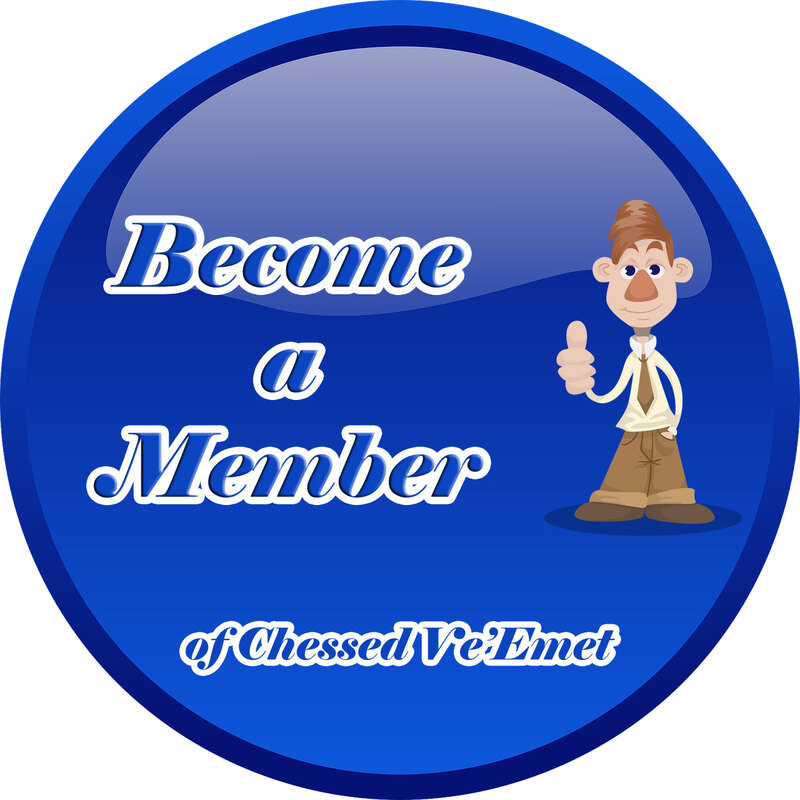 He has endorsed our Bayit Chadash Project, other projects, and has certified us as Chatan and Kallah Teachers. His story is an incredible one and we have been privileged to connect with Rabbi Jacobs on so many levels. The premier weekly magazine for the Jewish Family. Click Here to receive Mishpacha’s free weekly newsletter. 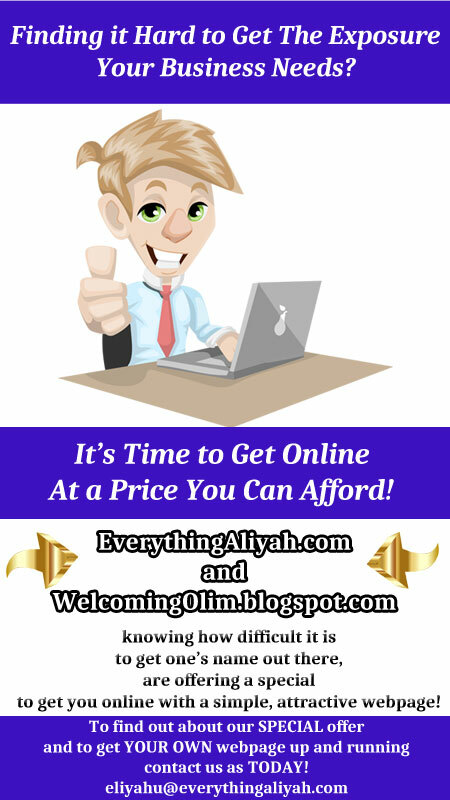 Click Here here for subscription information. Karate experts are intriguing. Everyone wants to know how they can break 15 inches of solid brick with their bare fists, seeming to transcend natural physical limitations. Is it magic, or some sort of supernatural power they’ve accessed? Karate master Rabbi Fishel Jacobs says the true martial artist does indeed possess extraordinary latent power. But it’s not magic. And it’s that very power that enabled him to transform himself from an advanced-level black-belt training for the Olympics to an ordained rabbi, prolific Torah author and halachic authority, and the first American chaplain in the Israeli prison system. Even Hollywood caught up with this multifaceted karate champ-turned-prison rabbi; a screenplay of his life is currently being negotiated by producers in California. It’s All About Repetition Harold Jacobs — Jewish in his heart but not yet in practice — bought a poultry processing factory in Vermont and moved his family out to South Royalton (population 1,100) from Brooklyn when Flip/Philip/Fishel was ten. “Dad’s philosophy was, let the kids grow up in the country and they’ll be healthy. It would have been a good plan if I didn’t almost get myself killed in the process,” Rabbi Jacobs reminisces from his well-appointed study in Kfar Chabad, surrounded by an extensive library and piles of his own titles. A few days later, a South Korean karate master named Tae Yun Kim advertised that she and her brother were opening up a karate school. Today she’s a tenth-degree karate grandmaster, a multimillionaire living in California, and CEO of numerous successful businesses. But then she was a destitute immigrant fresh out of the mystical South Korean mountains. And Flip Jacobs was her first student. For the next 13 years, Flip trained for hours every day. Karate became his life. By the time Philip/Flip was 15, he began to move up belt levels and win competitions. At 18 he was awarded his black belt (“at the time it was the greatest day of my life”), which he describes as “a bloody mess” that involved smashing eight to twelve inches of pine with his hands, feet, and head, executing perfected moves and defending himself against five armed “assailants” who came after him with boards and clubs. He emerged with a broken nose and bleeding skull, but knew he had the inner power to pass the test. “They brought in masters from Korea who couldn’t even speak English. These guys used to train their students by sending them off to the mountains for six months and letting them back once they’d mastered the techniques. That’s their religion: becoming elevated, confident, focused, synchronizing all their internal systems — respiratory, muscular, nervous, and mental. Imagine you’re 18, you’ve earned your black belt, you’ve perfected your moves. Everything is perfect. So where does an 18-year-old champion go from there? Flip decided to take his endurance to the next level — a level that borders on the telepathic, a heightened sensory achievement most people wouldn’t even want to attempt. “Sounds good,” Flip answered. Six years of four-hour daily training had left him feeling as if he were on a kind of plateau. There was an excitement in knowing there were deeper dimensions. He was summoned to the gym late one night, and handed a blindfold. One foot forward, and then, Whap! A stinging pain shoots through his face. Another step, Whap! This time to the arm. Soon his whole body is bruised and bleeding. But Kim was encouraging: “After you suffer enough, you’ll have no choice. You will either give up or force yourself to learn how to block.… You will only learn through pain. Only then will your body force itself to sense. Only then will you develop an extra perception. With the extrasensory training that went on nightly for three years, Flip had taken his skill to a whole new level. Still, why would anyone willingly subject himself to all that pain? Flip then volunteered for another torture that tested the breaking point of his endurance, a 36-hour marathon at Dartmouth College that started out with 70 participants and ended with 15. For the first two hours, the trainees stood, knees bent, while someone stood on their shoulders. Coming Over? By the time he entered the University of Vermont, Flip was “perfect.” “My breathing was perfect, my moves were perfect. Where do you go from there? It’s not cognitive, but on a very subliminal level, you start questioning yourself.” And then from left field, he was “attacked” by a totally new force — Rabbi Shmuel Hecht z”l, the campus Chabad rabbi. But Rabbi Hecht was always there on the sidelines, fanning the spark of the spirit, gently massaging the G-dly soul that was yet to be revealed. At the same time, Flip Jacobs was also feeling cracks in his veneer of perfection. There was a breaking point, a flash of light that left as fleetingly as it came, yet it illuminated a corner of his spiritual side. It happened at a tournament where the entire team’s victory was at stake. 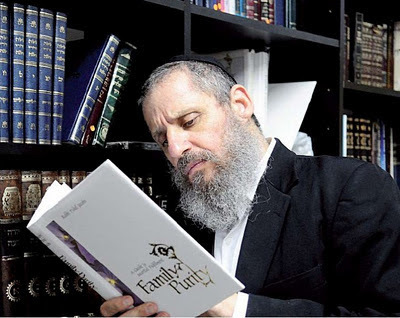 Rabbi Hecht sent Fishel/Flip to the Lubavitcher Rebbe in Crown Heights, Brooklyn. The Rebbe, in turn, told him to go study in Israel. What about the Olympics? Was he disappointed that his dream would never come true? But Kim, who became a multimillionaire with several international companies, never forgot her prized student. Years later, after having no contact for 25 years, she eventually located him in Kfar Chabad and invited him and his wife, Miriam, to Los Angeles for a lavish 60th birthday bash. The glitz and opulence were overwhelming, the walls bearing testimony to Dr. Tae Yum Kim’s incredible success — Dr. Kim with President Bush, Dr. Kim with Hillary Clinton. Then she stood up and told her adoring audience how proud she was of him. At the ceremony, Rabbi Jacobs was promoted to eighth-degree master. The Worst Year Rabbi Jacobs describes that first year in Kfar Chabad yeshivah as “the worst year of my life.” Thrust into an intellectual environment with baalei teshuvah from Ivy League universities, having to deal with two new languages (Hebrew and Aramaic) and entirely new thought patterns that just weren’t going in, Rabbi Jacobs was about ready to throw in the towel — but some inner determination kept him glued to the study bench. “I was an athlete — I never bothered studying too much. And this wasn’t a Discovery seminar. It was the real thing; they plunge you in from day one. I sweated it out, but I wasn’t a vessel to absorb the material. I wanted to succeed, but I didn’t think there was a scholar hidden inside the athlete. Yet the Rebbe must have seen it. “Have you started smichah yet?” the Rebbe asked. Focused on the Goal The Rebbe kept Fishel Jacobs in kollel for eleven more years. Eleven years in which he shvitzed and shteiged — until the scholar within emerged. “I don’t think I would have ever had the nerve to go for the Rabbanut smichah, but the Rebbe empowered me. So I used the same, safe system I knew. The karate keeps you goal-oriented, so I set my goal: I memorized the entire Shulchan Aruch. Then it was time for the exams. But I failed — twice. I had so much material in my head I wasn’t able to write it coherently. But they were nice — they agreed to test me orally. Over the next three years I did oral exams with Rav Dov Lior from Chevron. When the smichah notification finally came, I was shocked, Miriam was delighted, her family was amazed, and my teachers just smiled knowingly. But Israel is a small country, and it wasn’t long before word got out that there was a black belt learning in the yeshivah in Kfar Chabad. So over the years Rabbi Jacobs has continued to give demonstrations and teach combat techniques — for kids, for the army, for the security services. What happened during his week of sheva brachos was a sign of things to come. It was 11 at night, and he and Miriam were sitting in the living room of their little house in Kfar Chabad when five big guys from Tel Aviv knocked on the door. “We’re karate guys and we want to study with you,” they practically demanded. “Hey, I just got married two days ago,” Rabbi Jacobs answered. But they had no intention of leaving. Go To Jail And then came the offer that was to change his life. A friend who was a medic at Ayalon Prison was looking for a volunteer to give some informal classes to the inmates. It wasn’t long after that Rabbi Jacobs was offered the chaplaincy for the entire Ramle prison complex, including Ayalon, Nitzan, Neve Tirzah women’s prison, and the IPS medical center. For 13 years, Rabbi Jacobs served as the spiritual link to hundreds of prisoners, some petty thieves, some incarcerated for heinous crimes, and some of them women. But prison kiruv is not a job that can last forever. The noise, the banging, the intensity, the loudspeakers, the Middle Eastern music, the yelling, the smoking, the jangling keys, the cooking — eventually it all takes its toll. Rabbi Jacobs, who now dedicates his time to writing, teaching, traveling, and speaking, chronicled his prison experiences in Israel Behind Bars, an inspiring window into the day-to-day challenges, victories, and setbacks of both his prisoners and himself. Rabbi Jacobs says that as much as he was able to give the prisoners, the greatest rewards were his own. “You’re serving the simplest Jews in the world and you’re their shepherd. You give them your neshamah. These people are broken; they need your humanity, so any conversation could be life-saving. “I had five Jewish wards, and I wanted them to have Shabbos together, so Thursday nights the shuls were active. That’s when I’d bring in extra food for them — vegetables, tomatoes, onions, tuna fish. And they’d be waiting for me — one guy with a tattoo, one in shorts, one in slippers. Talk about simple, these are simple Jews, Baal Shem Tov neshamos. I’d walk in there, and they wouldn’t care if I was sweaty, smelly, or depressed. They have one demand: you’re the rabbi and we need you to connect to us. Rabbi Jacobs says one of the most difficult scenarios he faced was when Jewish prisoners, faced with heartrending, pitiful life situations, committed horrifying crimes but still wanted to know if they were worthy of G-d’s forgiveness. He recounts the story of Joel, an unfortunate, broken soul who was abandoned by his mother at birth and had to survive as a child by rummaging through garbage cans after his father was bedridden. Joel eventually got steady work, got married and had a child. But then his wife was in a car accident and became paralyzed. Because of their poor financial state, the social welfare department put the daughter in a foster home. “The only thing I have in life are my disabled wife and daughter, who the social worker decided to take away from us,” Joel told Rabbi Jacobs. “Okay, so what did you do? I mean, why are you here?” Rabbi Jacobs prodded. Two of the blocks were Arab, so Rabbi Jacobs was clergyman to about 200 political prisoners (terrorists) as well. But Rabbi Jacobs was more than a clergy chaplain. He was also a prison staff instructor in Krav Maga, an Israeli version of hand-to-hand combat that uses martial arts and other lethal techniques. And they knew it. Every morning when Rabbi Jacobs heard those banging, clanging doors shut behind him, he knew it would be another day of classes, of making prisoners feel good in shul, of numerous one-on-one conversations, of connecting humanity to humanity. Did he think it was possible for these inmates to redefine themselves as Jews, instead of just as criminals? In Israeli prisons, religious rehabilitation is recognized by parole boards and judges, but critics say that prisoners take on religious practices for the perks: better food, Shabbos programs, time out for prayers and study. Is having a “religious awakening” in prison a good way to get a sentence reduced or evoke compassion from the judges? A few years back, a teenager accused of killing attorney Anat Pliner entered court wearing a yarmulke. Rabbi Jacobs admits that religious observance is a factor considered by sentencing judges and parole boards, and that inmates are often attracted to the shuls and learning programs for the advantages they offer. But often, he says, interest in religion becomes genuine, and the prisoner really does become the person he’s projecting to be. And that, studies show, is the best form of rehabilitation. 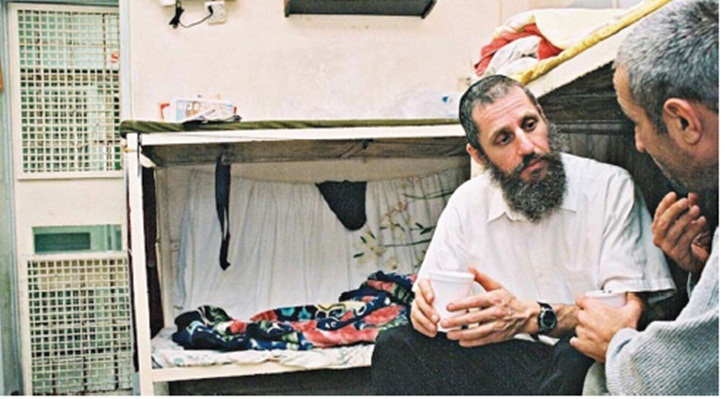 According to one study, 70 percent of Israeli prisoners return to prison within five years, while among prisoners in religious wards the return rate is only 10 percent. 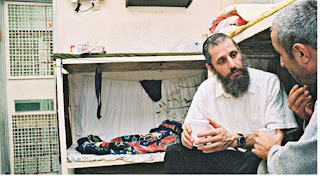 Finding the Nefesh One of the most famous criminal episodes in Israeli history revolved around Ramle prison, when arch-criminal and triple murderer Herzl Avitan took revenge on prison warden Roni Nitzan — the visionary who dedicated his life to rehabilitating prisoners. Avitan, who had been in and out of prison and was then serving a 15-year sentence, was awarded a compassion visit — shackled and guarded — to his critically ill father, when he escaped through a bathroom window, shimmied down a rope that had been prepared by his cronies, and made a getaway. Soon after, he ambushed his nemesis Roni Nitzan, riddling him with bullets. The connection between Avitan — who was serving multiple life sentences when he died in prison in 2001 — and his chaplain, karate rabbi Fishel Jacobs, was not lost on a group of Hollywood movie producers who wanted the rights to his biography. After tens of thousands of e-mails, thousands of hours of phone conversations and several trips to New York and California, a screenplay and script have been developed weaving together the parallel lives of Herzl Avitan and Fishel Jacobs and their eventual intersection. It could be dangerous to leave a script in the hands of Hollywood producers, who have their own agenda of what sells, but Rabbi Jacobs is happy with the deal being chiseled out. “The way the deal is being worked out, I’m a writer and consultant,” he says, qualifying that the script will be kept clean, except for cursing and violence — after all, it’s prison. Rabbi Jacobs’ contact with Herzl Avitan in prison was pretty much limited to an occasional hello, and he would get sufganiyot on Chanukah like everyone else. This article appeard in the Mishpacha Magazine (www.mishpacha.com) English edition. Reprinted with permission.